Antique Brass 13A DP Socket 2 Gang is rated 4.9 out of 5 by 7. Rated 5 out of 5 by nonowtdave from look expensive!! Bargain we love the look of these. they look far more expensive than they are and quality is good Too ! Rated 5 out of 5 by Bosun999 from Nice looking socket Bought these to improve the look from plastic. They are easy to fit and look good. 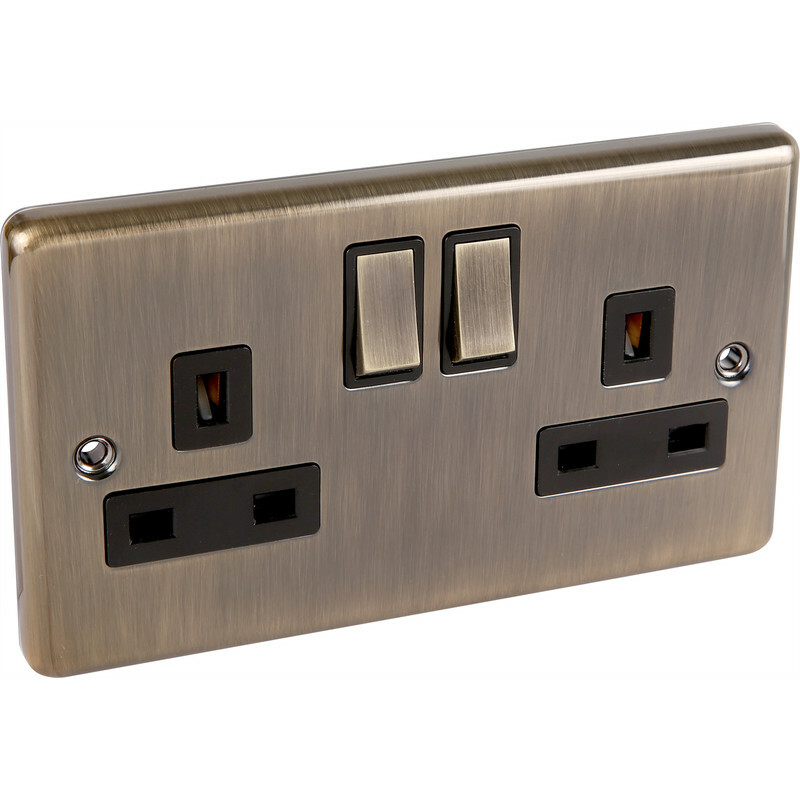 Rated 4 out of 5 by leezer from good quality for the price Of the options we considered, this range of sockets and switches were the best mix of quality and cost. The finish is obviously not antique but its a good replication and looks fairly realistic on the actual product. The switch action is nice and smooth and the matching switch colour looks far better than in blackm which many alternatives are. Pity about the plastic plug inserts but that's building regs for you ! Rated 5 out of 5 by Rocket88 from Very Smart I like this range of switchers, they look great, are very functional and are excellent quality at a reasonable price. Rated 5 out of 5 by Denise from Excellent quality This is an very good quality product. Excellent finish. Rated 5 out of 5 by Powlsey from Good service & Fantastic value for money I bought these a few weeks ago after having trouble with our old sockets and decided to change them all for these.